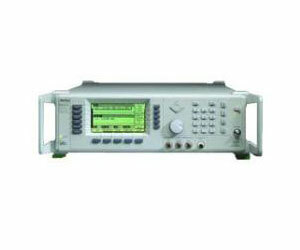 Accurately leveled output power to ?120 dBm in 0.01 dB steps facilitates receiver sensitivity measurements. Fast 5 ms switching time maximizes system throughput. Internal list mode frees the A.T.E. controller to perform measurement analysis tasks. Optional SCPI programmability and free application drivers, including the IVICOM driver and National Instruments LabView® drivers, save you time and money in code generation and maintenance.